Thanks so much for stopping by !!!! Christine!!!! (Yes, I am screaming your name). I am so glad you started blogging. Look how amazing your pictures are. You're such an inspiration to me! I haven't even done anything for Easter decorating. I would love to get a pet bunny like you have. My neighbors cats would eat him, though. I am loving your blog!!!!!! Your porch is soooo sweet. I love the single egg you have dangling from your wreath. I like your work boot. Could you take a close up picture? What do you have planted in it? I couldn't really tell. Thank you. What a welcoming front porch - I'm in love with that bench ! Happy Birthday! That's a big one too. (I will turn 50 this year - yuck) I'm so glad to hear that you are enjoying your family this week. Your porch is decorated so cute. I love the hanging oversized Easter eggs! You have a LOT to brag about, not just a little. 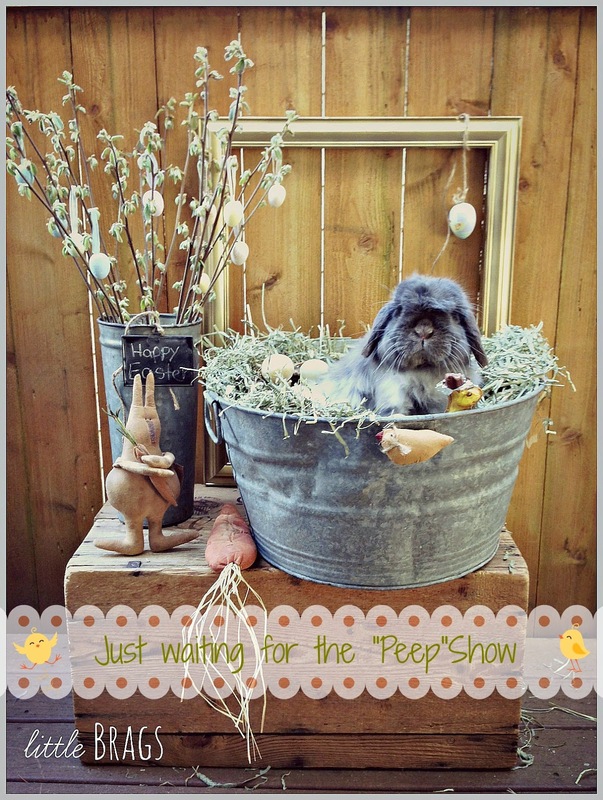 Love the front porch, the bench, the buckets, the bunnies and all! Sooooo cuuuute! Love all of your Spring touches. 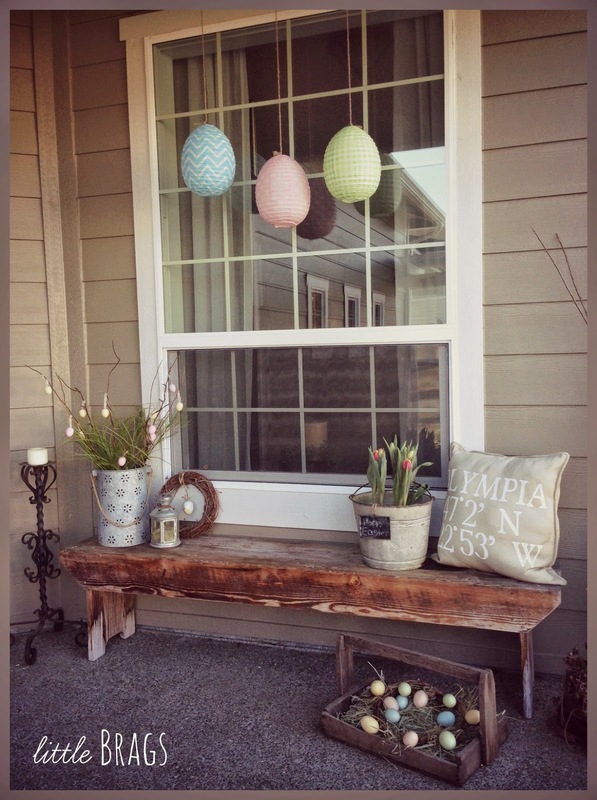 You've created such a beautiful Spring porch Christine! I love the hanging eggs in front of the window. Have a nice visit with your mom. What a great surprise for your birthday! 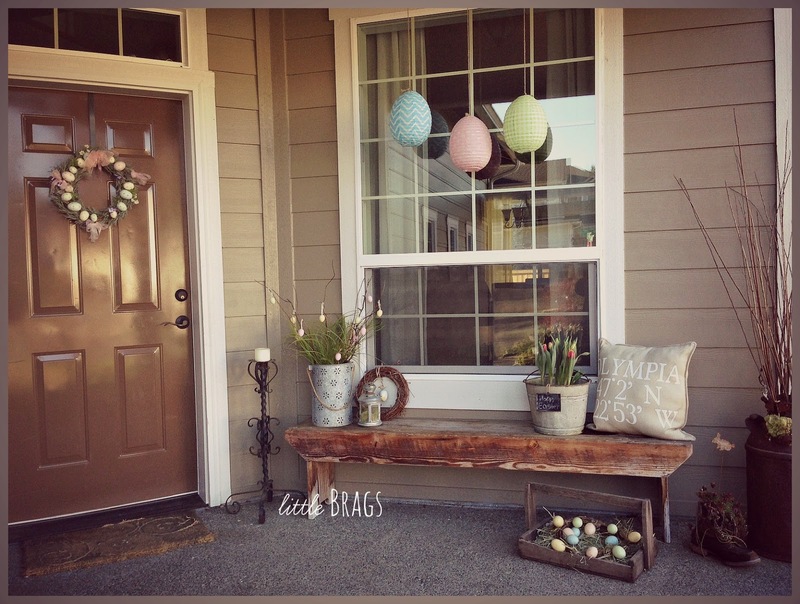 I love how you change up your porch and I love, love, love the Easter vignettes. Great egg basket. Your porch looks so good. I love what you have done with it. What a pretty porch, I love all of the pretty pastel colors against all of the natural elements. Thanks for sharing at The Makers! Happy Birthday Christine! Love the buckets filled with flowers…so pretty! I hope you and your mom will spend lots of time together! Frohe Ostern! As always your front porch is delightful! I love your style. Happy Easter Christine! Very pretty, Christine! I love your bench! Happy Birthday and how nice to have your Mom surprise you with a visit. I love your wash bucket nest. This is super pretty Christine! 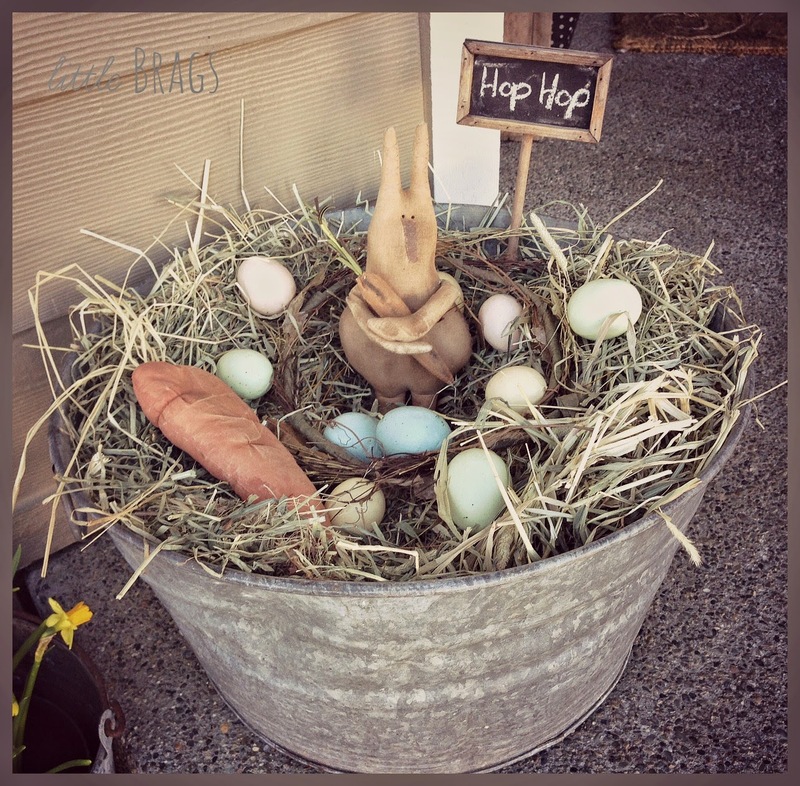 I especially love that all your eggs are pastels and do blend in more naturally with your natural eAster Decor! Have a wonderful Easter! 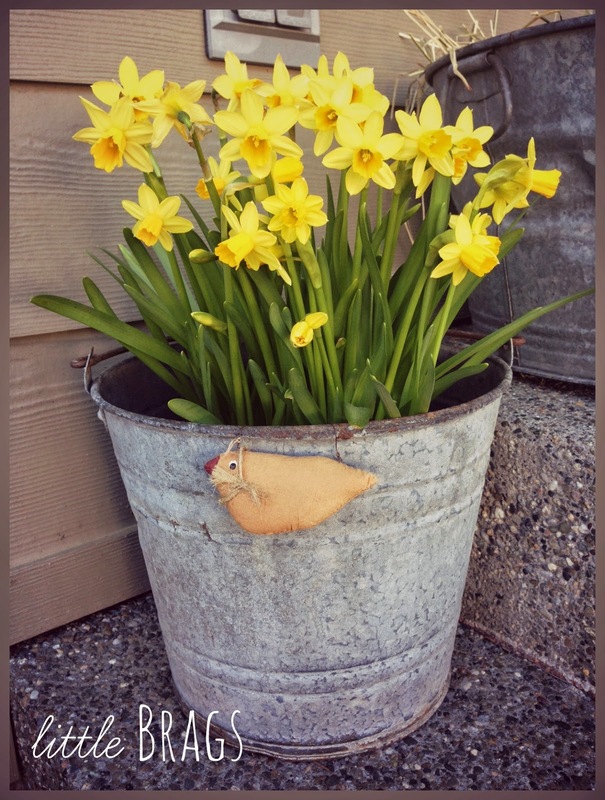 Found you on we call it junkin's linkup! love the porch your blog is so cool. Your in olympia is that washington so lucky trying to get out of california and move to washington. Have a Happy Birthday and Easter enjoy your moms visit. I love the large, hanging eggs! Happy Easter. I love the neutral design vibe.... So fun and ageless decor!!! I'm visiting for the first time... saw your feature @ Susan's blog. Yay! 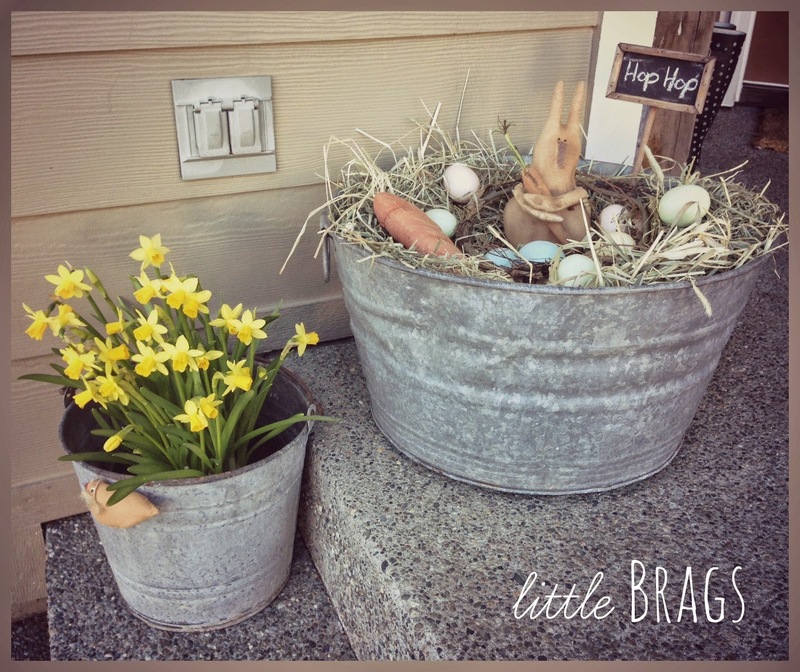 Love your Easter decorations... and it's so nice your mom could come out to visit! Happy Birthday, and have a wonderful Easter weekend! So your porch got a lot of coverage today! LOL Have a very happy Easter! I just came over from Susan's blog and signed up to follow you.. Your Easter porch is so pretty and I love your bunny - he is really cute. Christine...it was so nice meeting you at Susan's blog and learning about you, your family and your blog! I look forward to following you! 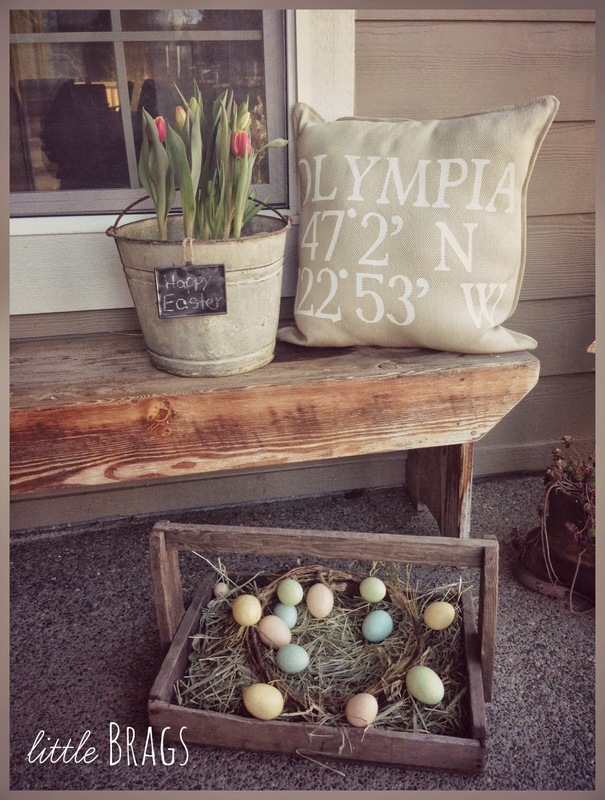 Your porch looks wonderful, especially that nest! And your bunny is adorable!! Have a Happy Easter. I'm happy your mother could come! 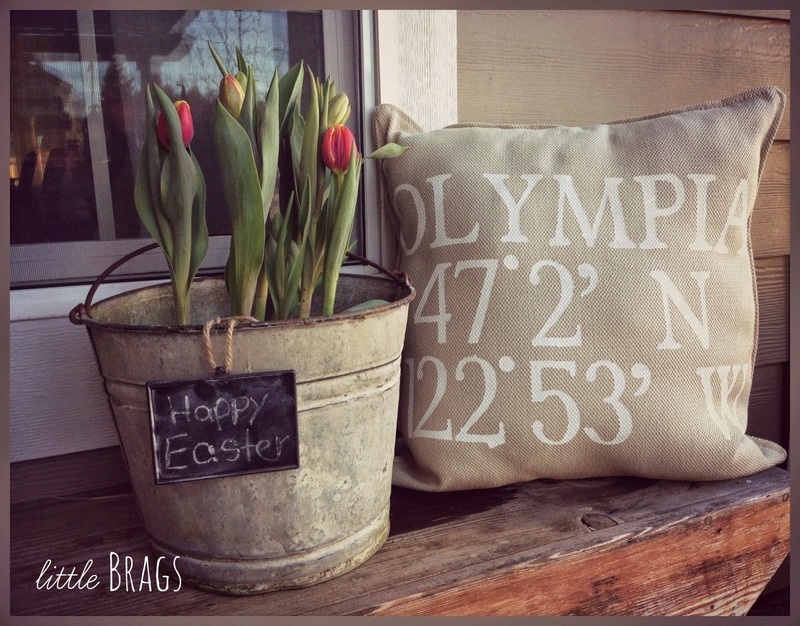 I just came from Kris's Blog, and I too live in a little suburb of Olympia, WA. I Love the way you have decorated your Front Porch. it looks Fantastic!! 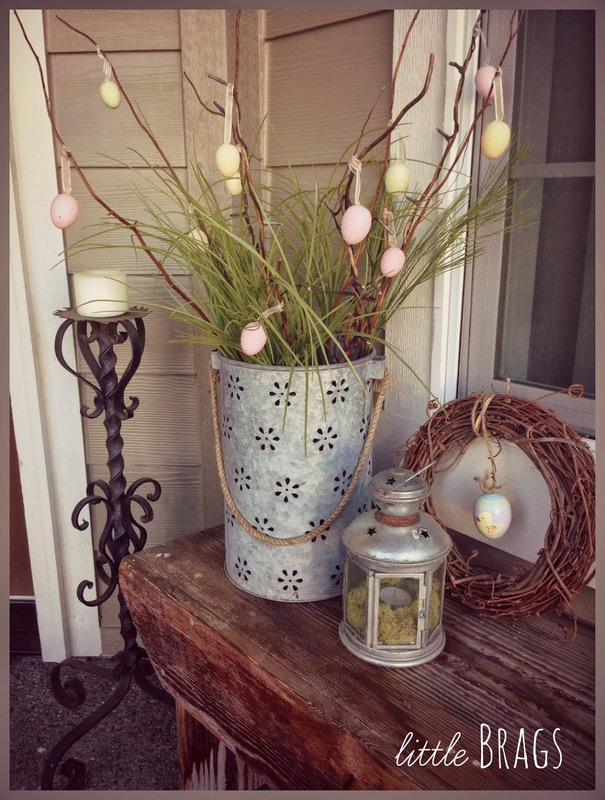 Hi Christine, I love anything galvanized and how fun to use your buckets for Easter! The bunny nest is over the top cute! Enjoy your visit with your sweet mom. All the way from Germany, fantastic! Thanks for sharing with SYC. I can't believe I missed this, I'm so glad it was featured on Work it Wednesday! Congrats! I just love everything about it! Great job, Christine, so so welcoming and perfect! And this is what they called a perfect design! I have been researching how making my porch more attractive and this idea of yours is absolutely cool! I love the vintage wooden crate. I will visit the cute bunny!